After 12 years of collaboration and trust, it's more than just a partnership between Ideogram Design and Specialimmo, the real estate agency located in Cagnes-sur-mer. After a complete redesign of its website in early 2017, there was no question of starting all over again to realize the new look of the site of the agency. So we use the specifics of our tool CaMykS to offer an update at a measured cost in a very short time. 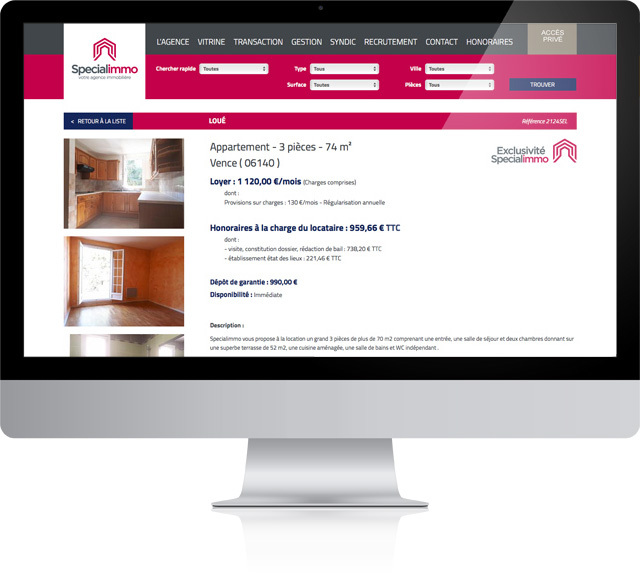 The transformation was made by creating a new theme adopting the new colors of Specialimmo. The only things we have to change are the export components of PDF files to showcase or give to customers. 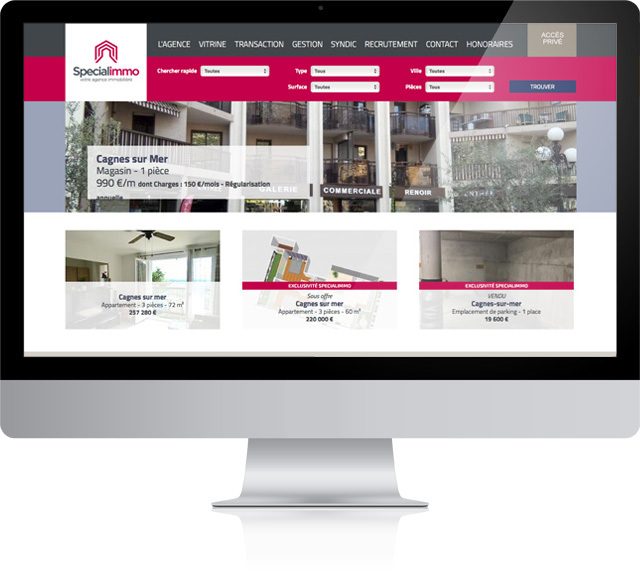 Your real estate website by Ideogram Design? do not hesitate and contact us!